New Hampshire’s Mt. 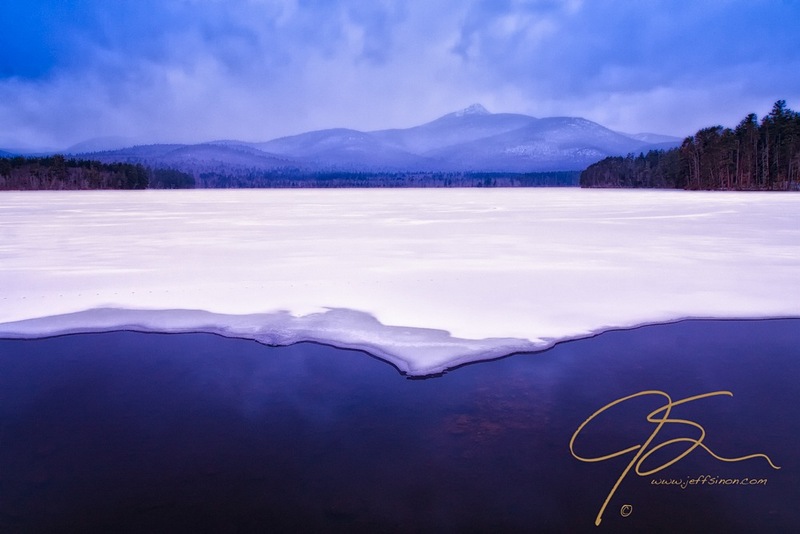 Chocorua, uniquely doubled in a mirror image created of snow and ice. Unique indeed! Very creative interpretation. That is really beautiful. Did you have to do much editing to get the overall blue colour of the background and foreground leaving the snow pure white? Thank you, Annette. As I recall, no not too much. Overall the original capture had a bit of a blue color cast as it was, so a little selective white balance and exposure adjustments on the snow was all it took. Stunning, Jeff. I don’t get tired of it! Happy Thanksgiving to you. Like it! Happy Thanksgiving, Jeff! Thanks! To you as well. Though I’m guessing it’s not a holiday for you. No, it is not. Nobody in Europe celebrates it – unless they are American immigrants. That’s a fantastic shot…..another fantastic shot I should really say. What a perfect mirror image in the ice! Thanks. This was the shot that made a very lackluster morning turn out a success. Superb capture, I love the way it resembles a painting. amazing shot! can’t believe how well the reflection looks like! how lucky you were to catch this picture. thanks for sharing! And it was pure dumb luck I was there to see it. I’m sure it was gone within a day or two as more of the lake froze over. I did a double take when I first saw it. Amazing capture Jeff! Happy Thanksgiving to you and your loved ones.